Updated 5 p.m. | Posted 2:01 p.m.
A two-day mediation effort aimed at resolving the budget dispute between Gov. 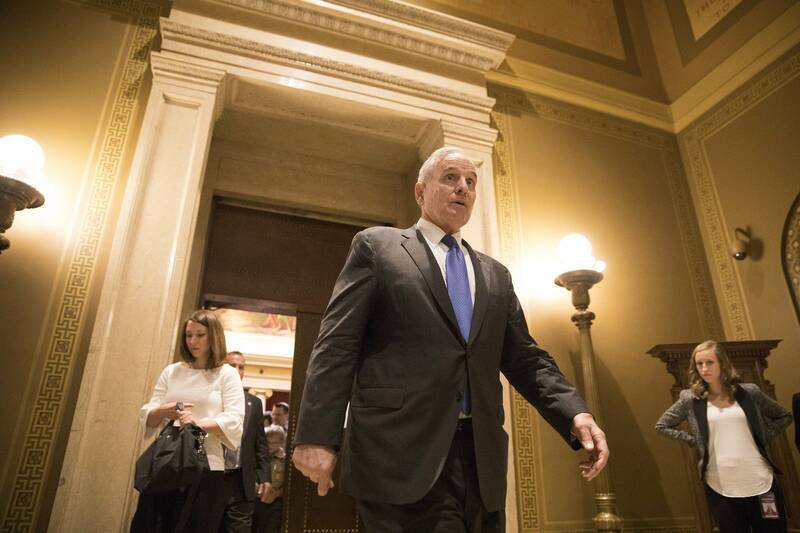 Mark Dayton and Republican legislative leaders ended abruptly Friday with no deal. Mediator Rick Solum said in a statement that talks were "at an impasse, the understandable views of the parties being irreconcilable." Republicans said it was Dayton who had ended the mediation and walked out on the talks, an assessment the governor didn't directly dispute. The mediated negotiations were ordered by the Minnesota Supreme Court, which had deferred a final ruling on whether Dayton's line-item vetoes of $130 million of House and Senate funding would stand. Dayton said Republicans wouldn't move on two policy measures he put on the table dealing with teacher licensure and immigrant driver's licenses. And he said they barely touched the edges of three tax cuts he says needed a fresh look. But Dayton said he was most upset about new revelations that the Legislature had pools of money it could use to keep operating for longer than previously stated in the lawsuit and public statements. "I was angry. I told them in my 40 years dealing with Minnesota government I have never ever been lied to," Dayton said, "and the people of Minnesota have been lied to and the Supreme Court has been lied to about the predicament that my vetoes supposedly put the Legislature in." Republican leaders blamed Dayton for ending the talks. "He was not happy and decided he was going to walk out," said House Speaker Kurt Daudt, R-Zimmerman. While Dayton struck down funding for the House and Senate, he left in place about $35 million that runs some joint legislative commissions. Lawyers for the Legislature have apparently advised lawmakers they have flexibility in how that money gets spent. They've also got reserve funds called carryover that Senate Majority Leader Paul Gazelka says can help them "limp along." Daudt said the chambers will be in "survival mode." If the Legislature has enough money to make it to the 2018 session, the Republican-led House and Senate could pass a new funding measure and potentially override any vetoes. It's unclear what the Supreme Court might do in the meantime. Justices have clearly been reluctant to step in and have come down in a middle position so far on the Dayton vetoes, saying the governor was within his constitutional purview but that his decision led to a possibly unconstitutional result. It's not clear if the court will render a definitive opinion. Lawmakers seem to want one. They hope a court ruling will prevent a similar situation in the future even if they're able to weather the storm. As for now, a Ramsey County District Court's ruling is technically still in place that determined Dayton's vetoes to be invalid. Dayton says he doesn't think the courts will look kindly on the new information about the Legislature's ability to sustain itself after painting a doom and gloom picture before.